Officially, the People’s Liberation Army Air Force of the People’s Republic of China was established on 11th November 1949. After the victory of the communists in the Civil War and the retreat of the Kuomintang to Formosa (Taiwan), the new government in Beijing knew the importance of air power in a modern battlefield. Quickly turning to the Soviet Union for both material and personnel help, the Chinese began building a new force from scratch. 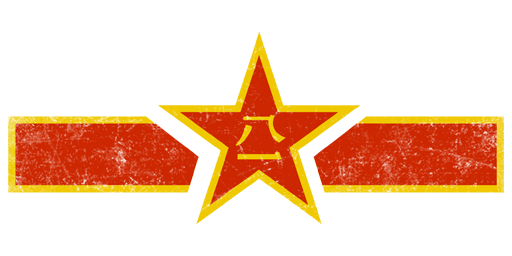 With the help of Soviet advisors, the first air unit of the People’s Liberation Army was founded. The Nanyuan Flying Group was tasked with defending the skies over the new Chinese capital Beijing, and consisted of 40 aircraft captured from the Kuomintang. 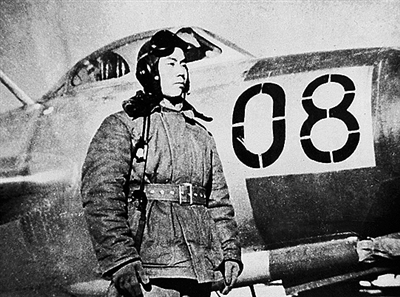 Chinese Mig Ace Sun Shenlu during the Korean War. In 1951 the Soviet Union started supplying the PLAAF with aircraft. At first these were propeller-driven Lavochkin La-11 fighters; however the new force was soon equipped with new MiG-15 jet fighters. The Korean War saw the first use of PLAAF aircraft in combat against the forces of the United Nations, with the United States Air Force being the main adversary. However, inexperienced Chinese pilots quickly fell victim to far more experienced US pilots. The war, even though costly for the Chinese, was also a boost for the indigenous aircraft industry. The aircraft works in Shenyang were used not only as a repair workshop, but also as an aircraft factory, producing MiG-15 fighters under license, known in China as Shenyang J-2. Another aircraft factory in Harbin began works on producing the licensed versions of the Ilyushin Il-28 bomber, known by the PLAAF as the Harbin H-5. The 1950s and 1960s were not pleasant for the PLAAF. At first, the new Chinese mainland state was involved in a series of clashes with the Armed Forces of the Republic of Taiwan in the Taiwan Strait. The series of skirmishes lasted from 1954 until as late as 1996. The PLAAF involvement was most prevalent in the Second Taiwan Strait Crisis, when Chinese MiG-15 and MiG-17 fighters clashed with Taiwanese F-86 Sabres. The Taiwanese fighters, however, had an advantage - they were fitted with new US made AIM-9 Sidewinder air-to-air missiles. Because of this, ROCAF pilots were able to achieve air superiority. On 22nd September 1958 a ROCAF F-86 shot down a Chinese MiG with the use of the Sidewinder missile - the first confirmed air-to-air missile kill in history. Because of the Sino-Soviet split in relations, the USSR ceased its technological transfer with Beijing in the early 1960s. However, the Shenyang works were prepared for this and continued manufacturing aircraft such as the J-5 (a copy of the Soviet MiG-17), the J-6 (a copy of the MiG-19) and the Chengdu J-7 (a copy of the MiG-21). China also supplied North Vietnam with aircraft during the Vietnam War, Pakistan during the Indo-Pakistani war of 1971 and both sides in the Iran-Iraq war. After the collapse of the Soviet union in 1991, the PLAAF began a series of modernization programs designed to replace outdated aircraft. Currently, the main fighters of the force are the Chengdu J-10 and Sukhoi Su-27 multirole aircraft, with the Nanchang Q-5 serving as the main Close Air Support aircraft. The PLAAF also operates Xi’an H-6 strategic bombers and Changhe Z-10 attack helicopters. Thanks to this impressive operational capability, the People’s Liberation Army Air Force is currently the second strongest air force in the world, just behind the USAF.